Andalucia is rooted in its Arab past and preserves the baths and the most beautiful hammams in Spain. Hot springs tourism is increasingly in vogue, especially when you consider the world of stress and anxiety in which we live. 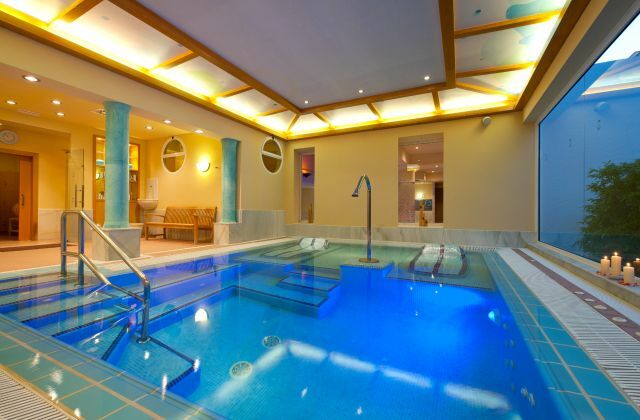 A contrast of hot and cold water in a relaxing environment renews our energies and clears the mind. If you want to unwind on your holidays, make sure you plan a visit to different baths which will leave you like new. Here are ten places in southern Spain you should not miss. 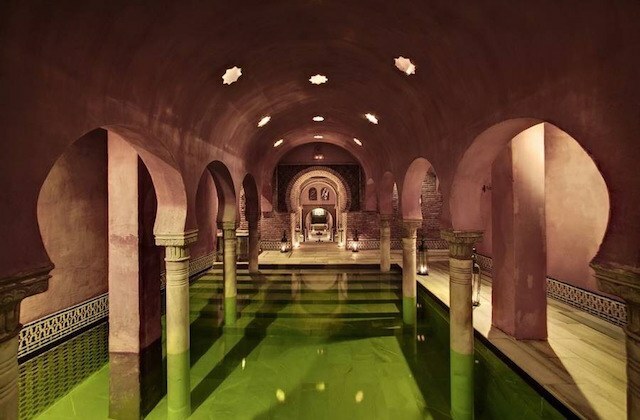 The Hammam Al Ándalus in Granada is one of the top Turkish baths in Spain. If you want to treat yourself, you can go for the so-called “Al-Ándalus ritual”: bathing in cold, hot and warm water; make sure you stop at the aromatic rest room; and a traditional kessa massage on hot stone. The latter is done with a special cotton fibre glove (the ‘kessa’ from which it gets its name) and a red grape soap mixture producing a very creamy foam and moisturising the skin generously. It is ideal for removing toxins and relaxing. Can you afford to miss it? 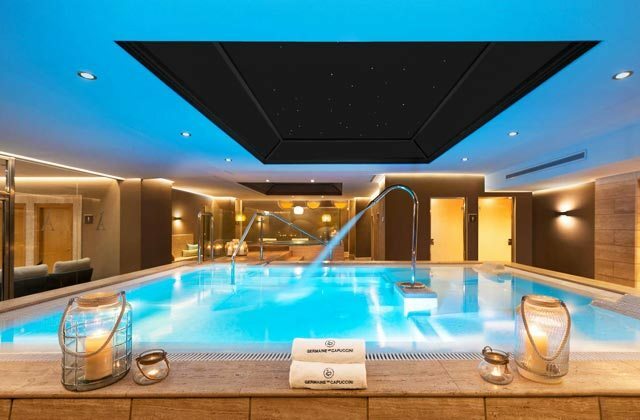 The Spa by Germaine de Capuccini is located within the Amàre Marbella Beach Hotel in Marbella which was completely renovated in March 2015, becoming the only one recommended for adults on the Marbella frontline beach and near the historic centre. A bath of sensations where you can choose the best hydrotherapy treatment circuits, massage and relaxation areas to take care of your health, beauty and wellness. Also, if you like, you can also enjoy sports in the gym. Ideal facilities to complement the luxurious Amare Club with its three exclusive areas and a unique atmosphere with outdoor pool and solarium, DJ, the most exquisite cuisine and the only rooftop bar in the centre of Marbella with stunning views of the Mediterranean. Are you ready to pamper yourself? 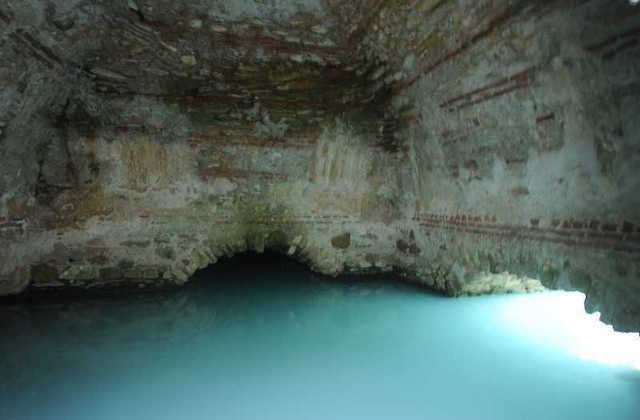 Julius Caesar ordered the Hedionda baths to be created after checking the healing properties of its waters. Dozens of visitors bathe in them daily and they serve as a natural spa or bath for the locals. Its main property is based on the improvement of the skin, and many people with such problems have come to this place to improve their conditions. 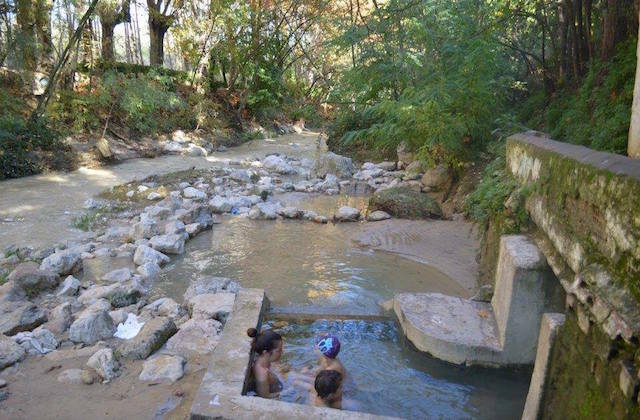 A natural bath just a few kilometres from Marbella which serves as therapy for your body which you mustn’t miss if you are travelling to the Costa del Sol. 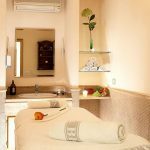 The Aljibe de San Miguel, in the heart of the city as the cathedral is just around the corner, stands out because there are options for all tastes and budgets: bathing sessions, muscle relaxing massages with oils and preparations of chocolate, cherry, mint or orange, aromatherapy with inhalation of natural essences and exfoliation treatments with plant extracts. An oriental luxury from 23 euros. There are ninety-minute sessions until ten at night and it is even open on bank holidays. The Hammam at Malaga is located in the old Jewish quarter in Málaga in the heart of the capital, not far from the Plaza de la Merced. It is divided into three rooms. The first is hot and is 45 degrees with a dome on the roof which attenuates the light from outside, and a large octagonal hot stone below which you can sit or lie on. There are also several pools around the room emanating hot and cold water. This room is the warmest and raises your body temperature, opening your pores and causing you to sweat. The warm room is at about 40 degrees. Your body is cleaned and exfoliated with soap and an exfoliating glove, and then cooled with water in the room and showers. This room is where people usually spend the most time because its temperature and atmosphere is very nice. Finally, there is the cold room where you can choose to have a massage with soap or just relax and wait for your body to cool down. A unique experience that will leave you like new. In Alhama, there are some natural pools which are open to all and in high demand by bathers. There are three baths: one made of cement which is the hottest, right where the water comes out at more than 40 degrees. The other two are cooler but have the advantage of being made with stones from the river itself. It is very difficult to find a quiet place as there is usually quite influx of people at any time, but we recommend going early in the morning or before dawn because there is no better gift for your eyes than watching the sun rise while quietly immersed in the pools. 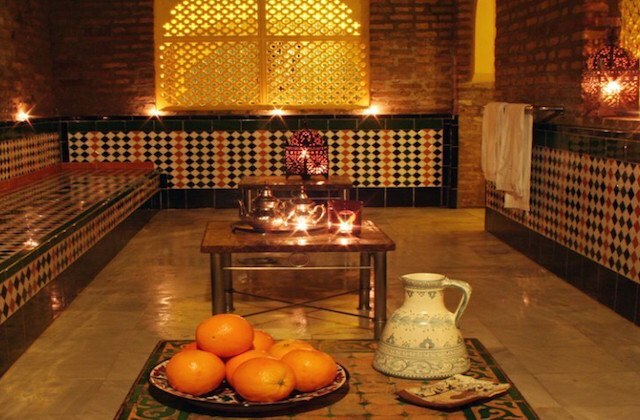 The peace and quiet found in a good hammam can also be found in the Hammam Andalusí in Jerez de la Frontera. In addition, it can be experienced as a couple. This place offers the “Ritual of Love” where you can have this experience with the person you love. It is a 4-hour session which includes a bath, body scrub, body and face mask, plus a 1 hour massage with hot and cold stones. The finale: lunch or dinner and a drink of cava with a view. If you want an experience as a couple, this is your place. Firstly, this Hammam is designed for body care, beauty, the serenity of soul and body brilliance. Even today, this sensual atmosphere with a culture rich in the enjoyment of sensory and spiritual pleasures can teach us and give us valuable qualities for our time today. 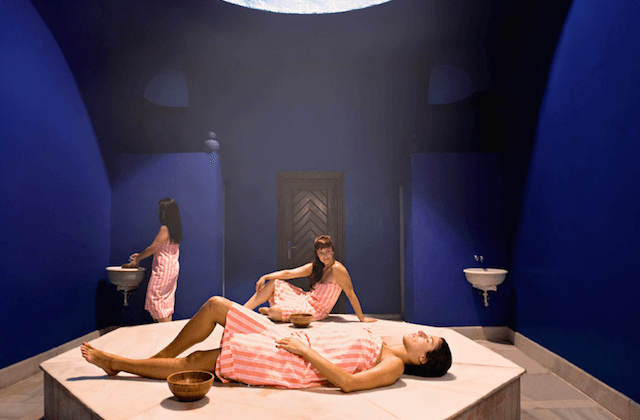 Don’t miss out: come to the hammam. 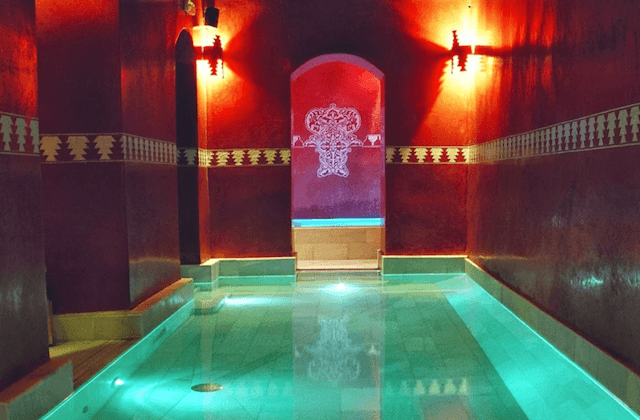 The mixture of typical materials from the period – water, aromas, sounds and decoration – transport the visitor to the magic of Al Ándalus, a unique experience where you can enjoy three pools with different temperatures that will leave your body like new. Since time immemorial, in the municipal district of Tolox, a series of fountains and springs known by the name “amargosas” (“bitter”) due to their special taste have been used by the locals to cure a myriad of conditions, both by ingesting and bathing. The positive thing about this bath is that, in addition to enjoying your favourite relaxation programmes, it has a therapeutic effect which especially helps asthmatics. The different types of inhalation have a sedative, analgesic, anti-inflammatory and anti-allergic effect which improves respiratory function, providing a greater range of breathing movements, increasing oxygenation and pulmonary circulation, while decreasing secretions. 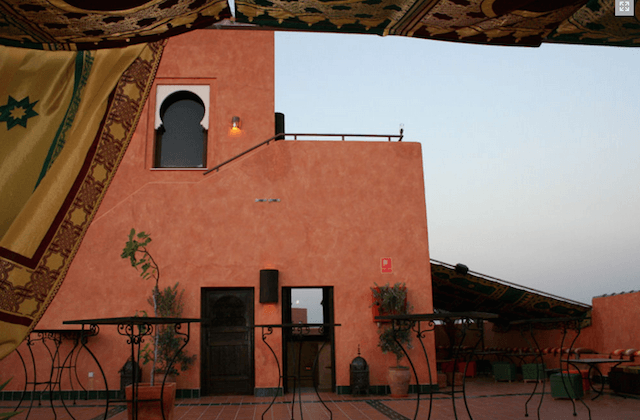 Among Arab baths for relaxation and skin care, Hammam Aire de Sevilla provides an unforgettable experience: Green Hammam, which produces a wonderful sense of renewal, physical and mental well-being. This entire ritual is perfect for looking good. Start with 15 minutes of Hammam to relax and open the pores, followed by an exfoliation scrub thoroughly with sugar and lime essence to remove impurities leaving skin smooth, radiant and ready for a 45-minute massage. This sublime experience concludes with 60 minutes of pure relaxation in a bath and aromatherapy through different rooms with water at different temperatures to finish with a refreshing, vitamin-enriched and healthy touch with a delicious melon, cucumber and lemon smoothie. Can you afford to miss it? 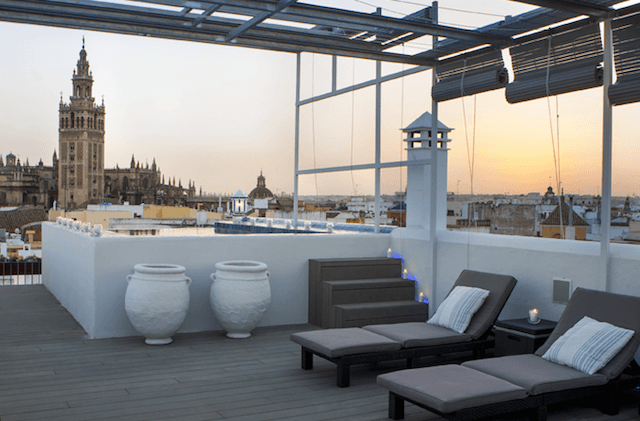 If you are travelling around Seville, come and unwind in this environment. The Health & Spa Centre Las Dunas is the perfect place to relax in an exceptional setting, where modern therapies and glamour are. The cutting-edge therapies, the spacious Spa of more than three thousand square metres and the indoor pools, salt and snow cabin, the caldarium and 18 treatment rooms – all this designed to provide the tranquillity and the rejuvenation of the mind, body and soul. 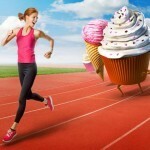 Las Dunas offers you the latest in treatments exclusively related to dietary. 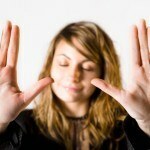 Its services are designed to improve your sense of well-being. It is the main Naturhouse specialized dietetics so you look and feel healthier and happier. In its spa offers the latest in health and well-being; 8 full treatment rooms, where you can pamper yourself with its natural and innovative products. 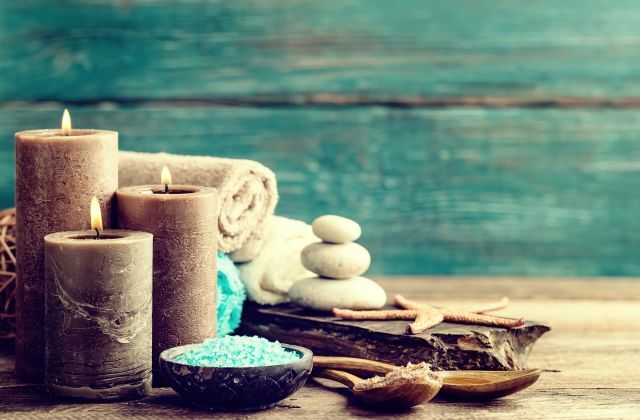 Its varied menu of treatments includes massage, Physiotherapy – Osteopathy, facial and body beauty rituals, hairdressing service, and of course its spa circuit. Also, it has a modern gym equipped with all kinds of state-of-the-art machines, and different activities that can keep your mind and your body in shape. Do you need a break? If are looking for an authentic wellness experience in Marbella, immerse yourself in a world of sensations. In Aguas del sol it will be like travelling to a fairy-tale world. 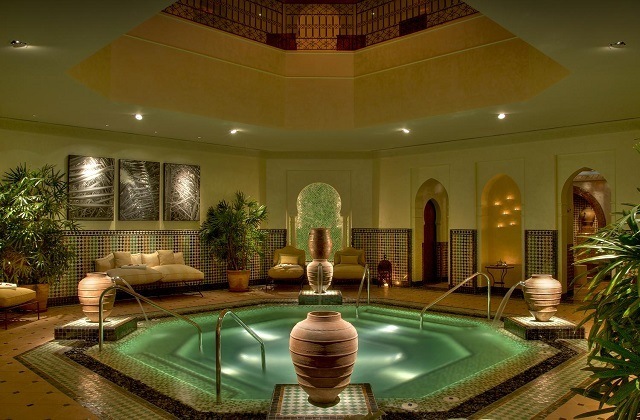 Take a de-stressing dip in its Turkish bath or a relaxing massage that will remove all your everyday worries. 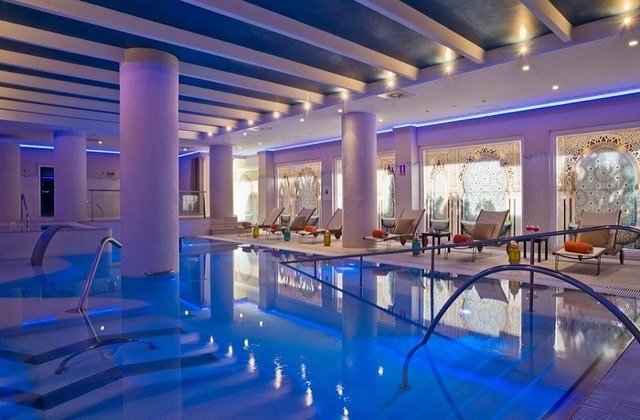 The Aguas del sol spa is a point of reference of the luxury in Costa del Sol. 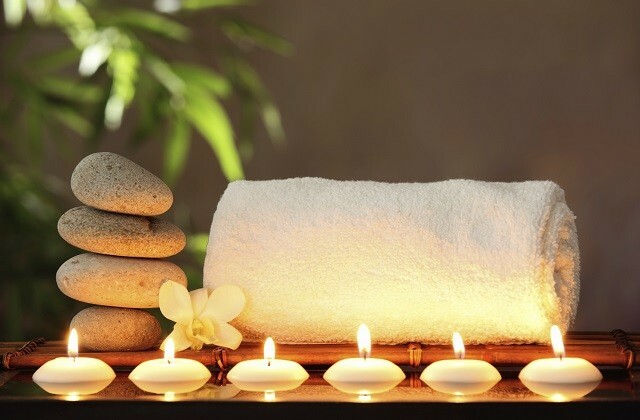 Le Petit milk&roses offers you the best services by the hand of the best stylists and masseurs. No doubt that at this spa you will forget about reality, at the same time that you will connect with yourself. We cannot ask for more in a session that provides benefits on the inside and on the outside. Also, Le Petit milk&roses always uses the most innovative products in the market. They offer world leading brands. Luxury cosmetics that set the difference and provide you with unbeatable results. Thalasso Spa is a space destined to the well-being, the health and the beauty, with multiple honours to the quality of its services. 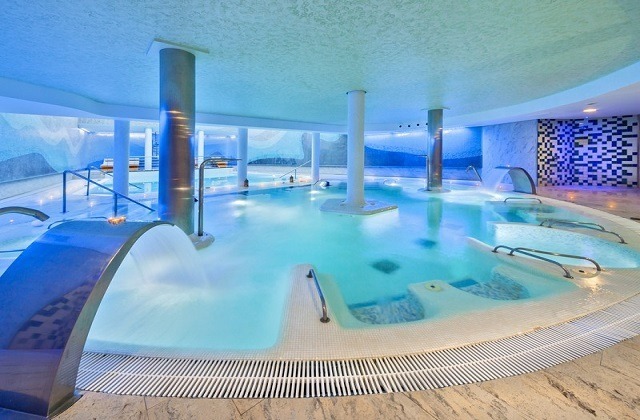 This spa is composed of 3 salt water heated pools, Turkish bath, sauna, Jacuzzi, laconium, relaxing water bed, thermal beds, showers, contrast and whirlpool showers, tour of stones, igloo and baths with the recommendations from real specialists in well-being. The water drawn directly from the Mediterranean gives you all its benefits and provides wellness and health. 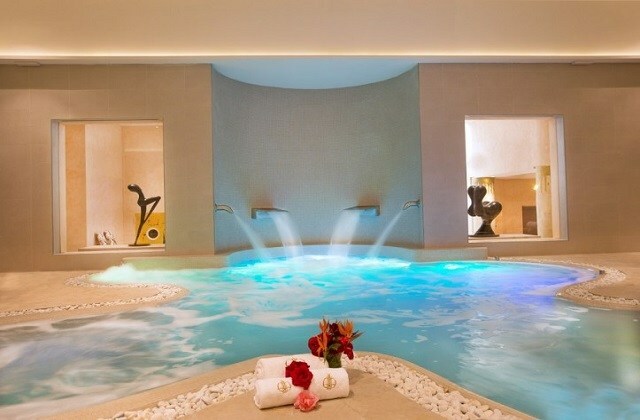 Six Senses Spa Marbella offers a wide and comprehensive well-being charter of experiences. This spa will provide you with the guidance and inspiration needed to teach you new perspectives that will help you to carry out positive changes you need to make to your lifestyle. 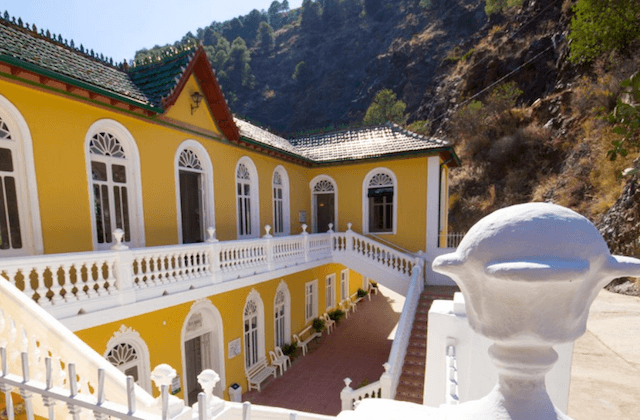 These experiences are also made in one of the most emblematic locations of Southern Spain, because you’ll be surrounded by lush tropical gardens, where you will enjoy a full connection with nature. If you want to discover the top spas and Turkish baths in Andalucia, you want to stay at the best hotels. 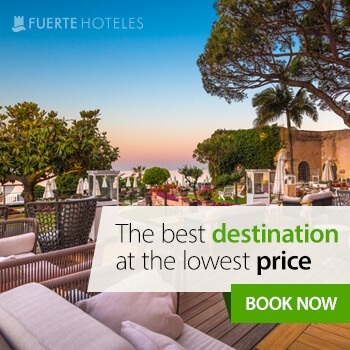 The best option, of course, is Fuerte Hoteles. The chain has branches where you can enjoy the best of each area throughout Andalucia, in addition to its services. It boasts over 50 years of experience and gives you the time to relax. Marbella, Conil, Grazalema, El Rompido, Estepona or Torrox are some sites where you can find these amazing hotels which are close to all these points we recommend.